STOUT, RICHARD, merchant, politician, judge, and office holder; b. c. 1756; m. 4 Dec. 1797 Martha Wingate Weeks in Guysborough, N.S., and they had five daughters and a son; d. 26 Oct. 1820 in Sydney, N.S. Richard Stout appears to have come from a New York loyalist family, and there is some possibility that the wife of Jonathan Tremaine, a loyalist who became a merchant in Halifax, N.S., was his sister. Stout came to Cape Breton some time before December 1788, probably from Halifax, as the local agent and partner of Tremaine. Little is known about the activities of their firm, but Stout appears to have imported mainly general merchandise. Since capital and supplies were scarce in the young colony, he immediately assumed a position of importance, and on 25 April 1791 he was elected to the prestigious position of vestryman of St George’s Church in Sydney. In May of the following year Lieutenant Governor William Macarmick transferred the lease for the Sydney coal mines to Stout and Tremaine, which he described as “the principle and indeed the only respectable [mercantile firm] in this place.” The mines had been well known for some time, but the British government had persisted in refusing to lease them. Prior to 1784 only the army, a few small operators, and some smugglers had worked the deposits, and in a haphazard fashion, sinking pits and then abandoning them. 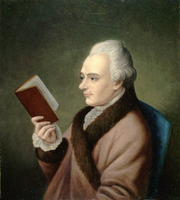 In 1784, however, Lieutenant Governor Joseph Frederick Wallet DesBarres* had opened regular works at present-day Sydney Mines. His successor, Macarmick, complained that the mines were a source of great expense to the government and strongly recommended that they be leased privately. In January 1788 they were leased to one Thomas Moxley on condition that a government duty be paid on each chaldron mined. The mines developed slowly owing to a lack of capital investment by Moxley, but a report in 1790 of John Wentworth, surveyor general of the king’s woods in North America, encouraged Macarmick by stating that coal could now compete favourably with wood on the Nova Scotian market. Upon Moxley’s death in 1792 Macarmick therefore leased the mines to Stout and Tremaine, who he believed were capable of running them in a more businesslike manner and thus increasing coal exports. The lease was to run for seven years, Stout and Tremaine then becoming tenants at will. Each chaldron reined would be subject to a government duty of five shillings. In order to facilitate the shipping of coal and supplies, Stout began building ships at nearby Big Bras d’Or, and a seagoing vessel was constructed there in 1797. Miners were hired by Stout from among the Irishmen who had worked in the Newfoundland fishery, and they were paid in supplies shipped by Tremaine. James Miller, who was sent out by the British government in 1792 to supervise the operation of the mines, described this system, in a 1794 report, as making the labourers “bound to his Employer’s Shop, Here also they are obliged to take up Articles . . . which they have no occasion to exchange . . . for such as they require.” Because the supplies had a high cost, the miners were in constant debt to Stout, who indeed acknowledged that he made most of his profits from this trade and not from the sale of coal. Since the colliers employed at the mines were not experienced, wasteful and inefficient production methods drove up costs. Miller in his report stated that Stout was “totally unintelligent in Coal Works,” and that the mines’ full potential was not being exploited. Rather than improve efficiency, Stout brought pressure to bear on Macarmick, claiming that he could not make the mines profitable, and in 1794 the lieutenant governor reduced the duty by one shilling per chaldron. This action lowered prices without threatening Stout’s profits. Not only the miners were in debt to Stout; officials such as David Mathews*, who lived on fixed salaries, were in especially straitened circumstances and thus dependent on Stout’s credit. Mathews, who became administrator of the colony on Macarmick’s departure in May 1795, appointed Stout to the Executive Council in 1797 to replace William McKinnon. Though he generally avoided the political squabbles that plagued the colony, preferring to watch his own interests, Stout came into conflict with Brigadier-General John Murray*, the colony’s fifth ruler. After he took office in 1799 Murray came to believe that Stout was allowing the mines to run down and was not producing coal quickly enough. When Murray demanded that new pits be opened, Stout claimed that the old level which was being worked would last for two more years and that new pits would not be required until the following spring. Murray did not agree and, making use of the terms of the lease, took over the mines himself in the spring of 1800. He also ended Stout’s practice of paying in kind, introducing regular wages for the miners. These actions antagonized Stout, who consequently opposed Murray in his bid to retain office against the challenge of John Despard*. However, when Despard finally assumed the post of administrator in the autumn of 1800 and decided to lease the mines privately, Stout did not return to mining. Moreover, when in 1810 Tremaine made an offer to take over the lease, Stout did not join him, and concentrated instead on the importing business. Although removed from the Executive Council after Mathews was replaced as administrator, he was reappointed by Despard and remained a councillor until 1812, when he resigned for unknown reasons. 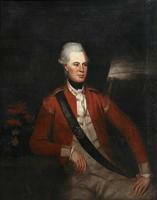 Administrator Hugh Swayne* reappointed him, as senior councillor, the following spring, but he was dismissed in 1817 by Lieutenant Governor George Robert Ainslie*. His death coincided with the reannexation of Cape Breton to Nova Scotia. In addition to his council seat Stout held numerous small but significant positions such as general surrogate judge of probate and wills, commissioner of escheats, and acting auditor. The influence of Richard Stout in Cape Breton affairs is difficult to assess. As the most important merchant and the main creditor in the colony as well as an executive councillor, he undoubtedly had considerable personal power. But since few contemporaries commented on his position (although William Smith did describe him as a “rich storekeeper and haughty despot”), it must be that any influence Stout possessed was wielded covertly. Stout evidently prospered in Cape Breton, for his will left a total of £4,500 to his daughters and his Sydney residence and nearby farm to his wife. The family enjoyed an eminent position in the colonial society: of his daughters one married Hibbert Binney, rector of St George’s Church, another married James Crowdy*, clerk of the council, and a third married David Stewart, the last administrator of Cape Breton. R. J. Morgan, “STOUT, RICHARD,” in Dictionary of Canadian Biography, vol. 5, University of Toronto/Université Laval, 2003–, accessed April 24, 2019, http://www.biographi.ca/en/bio/stout_richard_5E.html.